This map started off as an test for some new assets I was working on, given that I didn't think I had the time to map at the moment. 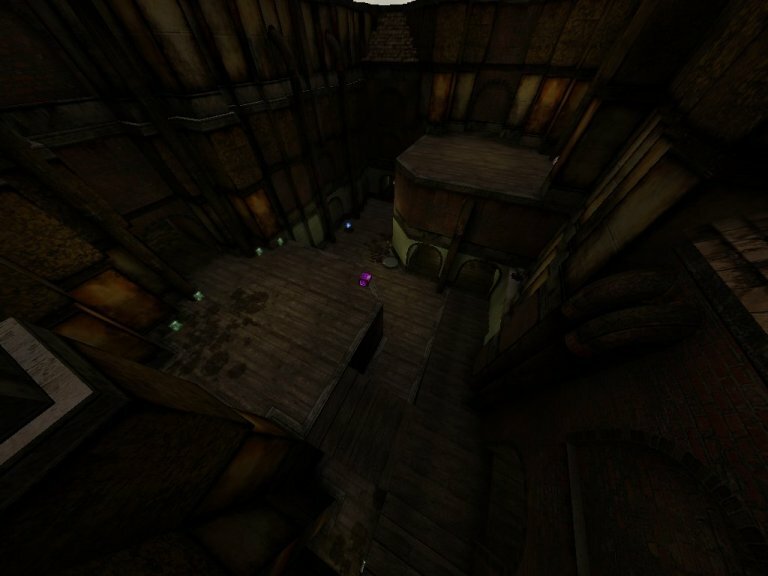 Before long though the level grew into a fully fledged map in its own right. Once again I returned to that look of gritty 'realism' I've been working towards for the past few levels. Realistic scale presents problems with game play, this is something I've run into before; that said this map is still fun to play. The theme is based on the Steam Punk genre, and I think pulls it off pretty well. The map is crammed full of details and makes heavy use of decals and sprites to achieve the kind of realistic decay look I was after. Tris counts are quite high, but not ridiculously so, it should be playable on most hardware.